WOW - is this a great summer recipe. I used my indoor grill for the peaches and it worked out great. 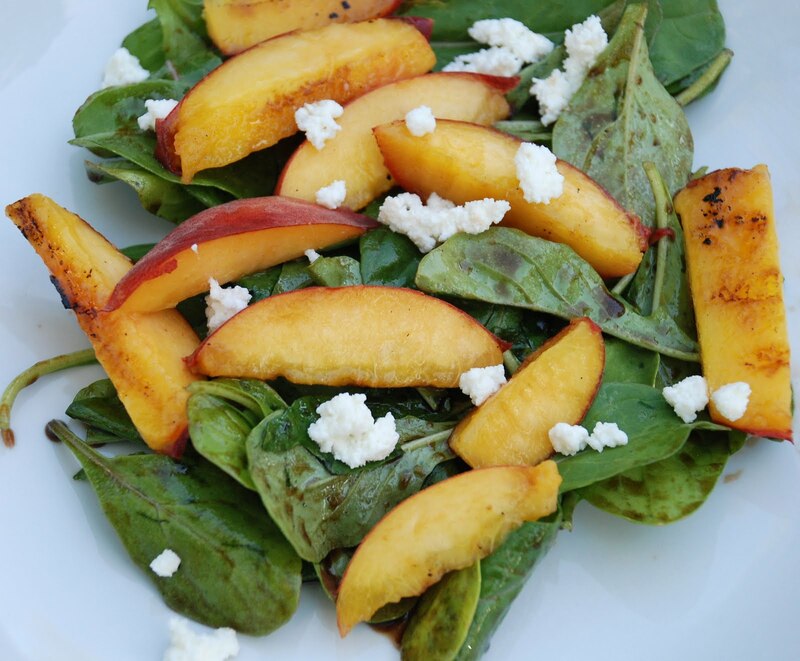 The flavor of the grilled peaches is wonderful with the arugula and I really loved the balance that the honey gave to the balsamic vinegar. I eat this as a main dish in the summer when I am trying to cut down on eating meat and dropping a few pounds. For a bit of crunch, sauté the prosciutto in a nonstick skillet over medium-high heat for two minutes or until crisp. I made it with and without the prosciutto and it was delicious. When I made it with the prosciutto I did not add cheese. 1. Bring vinegar to a boil in a small saucepan over medium-high heat. Reduce heat, and simmer until vinegar is reduced to 2 tablespoons (about 2 minutes). Remove from heat; stir in honey. Cool to room temperature. 2. Prepare grill to high heat. 3. Place peach wedges on grill rack coated with cooking spray; grill 30 seconds on each side or until grill marks appear but peaches are still firm. Remove from grill; set aside. 4. Combine oil, pepper, and salt in a large bowl, stirring with a whisk. Add arugula, tossing gently to coat. Arrange arugula mixture on a platter. Top with peach wedges and prosciutto. Drizzle with balsamic syrup; sprinkle with cheese.